When goal setting, it is imperative that you create a plan to complete your goals. Depending on the nature of the goal, the plan can be short, simple, and to the point. It can also be very long, complex, and require many people and steps to complete. What’s most important is that you have the appropriate plan for your goal. Although each goal is different and requires different levels of complexity, there are five goal setting keys to create an effective plan regardless of the size of your goal. Complete failure – “I’ll close up shop and go home.” If this happens, you will end the goal and completely re-think what you are doing. Find out all you can about your audience before you communicate with them. This is key teachings when you are in sales. Salesman that know their audience and speak to them appropriately are exponentially more successful than those that don’t. This is equally important to all professions and situations. [Read more…] about What Do Most People Forget About Effective Communication? Learn here! Whether it is the start of a new year, you are starting a new job or you are starting another new stage in life, it is always a great time to talk about goal setting. Goals and goal setting can be challenging, especially if your goals cause you to stretch more than you have stretched in the past. 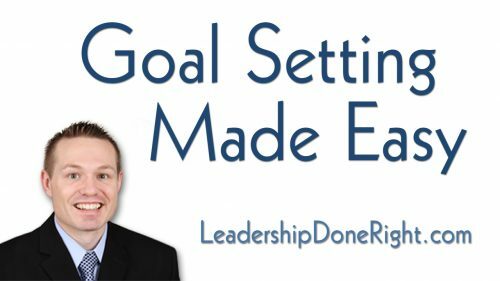 I have a proven goal setting strategy that will help you set AND complete challenging goals. AND, regardless of when you watch this video, now is always a great time to set and work towards achieving your goals. 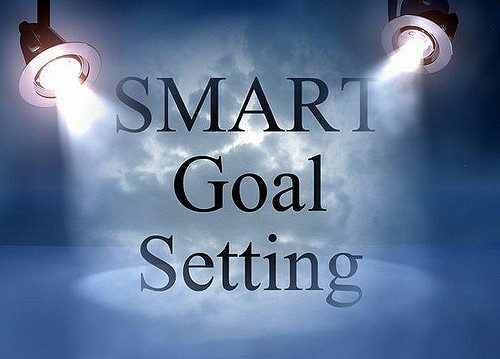 First, for your goal to be obtainable, it MUST be a SMART goal. SMART is an acronym. 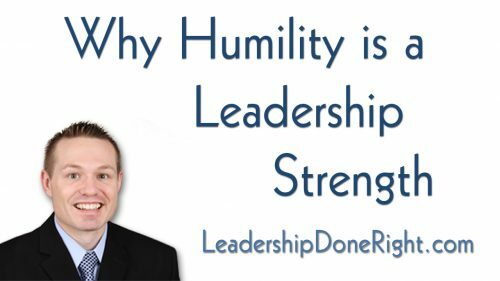 Hi, and welcome to the Leadership Done Right YouTube channel. One of the main goals of every leader is to be successful. Success comes in many forms. Completing a big project, helping an employee improve, hitting a budget target, meeting customer needs, or implementing a new procedure within the given parameters are all forms of success. There are also many other forms and definitions of success depending on your situation. One important aspect of success is that success is in the eye of the beholder. What one person sees as failure may be a complete success for someone else. Likewise, the opposite may be true as well. I’ve seen many cases where one person is successful in a specific way and that causes the next person to feel they have to have the same success in the same way to be as successful. Don’t trap yourself with this mindset. Your skills and abilities are different and unique to you. And, your situation is often different and unique as well. Therefore, you should not determine your success based on the successes of others. Since each situation is unique, Success is unique to each situation and circumstance. Success is dependent on expectations. When you reach your expectations you feel successful, but when you don’t, you feel disappointment. So let’s consider expectations. Expectations must be set correctly. Sometimes we set our own expectations and sometimes others set them for us. Regardless of who sets them, to be successful they must be based on YOUR abilities, not the abilities of others. When expectations are set by others, do everything you can to manage those expectations so they are accurate. Success and expectations all relate to goals. Our goals are created because we have specific desired outcomes, or expectations. If we reach that outcome we feel we are successful, but if we don’t, we feel we are unsuccessful. 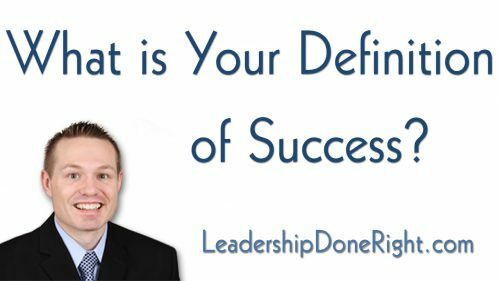 [Read more…] about What’s Your Definition of Success? Hi, and welcome to the Leadership Done Right YouTube channel. Have you ever been with a group of people where no one would make the first move or take the initiative? Were people in the group shy and didn’t want to stand out? Did they feel intimidated? Or, was there something else that caused them to not take the initiative? I have seen something very interesting happen in these group settings. After a few moments of uncomfortable silence, one person inevitably takes the initiative to act. He/she takes the initiative and get up to start working. From there, many others begin to act and follow suit. The true leader is the first person to take the initiative. 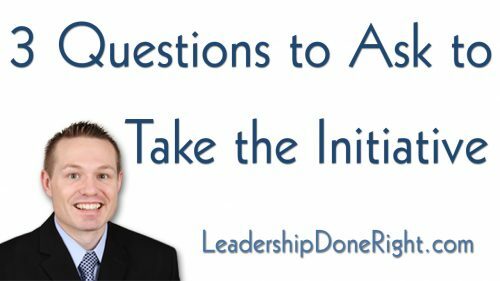 So what does it mean to take the initiative?